Respect and Family are two of the many aspects that a true Brotherhood is made of. We open our hearts and give to our brothers & their families, and also those in our Lake County community. Make no mistake about it...we will do what ever needs to be done to protect our brothers and our Club! We are not a 1% club, We are here to further our Brothers, our families, and our Community through support and community service. Also to reestablish ourselves as a positive Club and further ourselves from previous "street" and "gang" images we have had in the past years. We value, respect, and protect our wives & children, our jobs, our cars & motorcycles, and our Club! We do have a hang around period and prospective period for those interested in becoming part of our Club. We invite everyone to find out who we are, what we are about, and what we do for our community. We are a Juggalo and Underground oriented Club, however it is not a requirement to join. However we attend Juggalo/Psychopathic concerts and events as well as Gatherings. 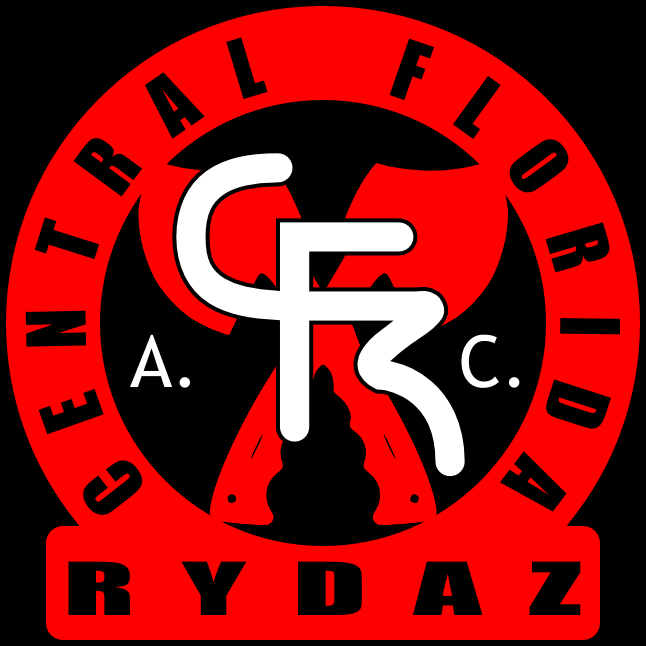 The CenFL Rydaz A.C. has been working hard toward community awareness to show that we are not the gang we are often perceived or represented as, but a Club of like minded individuals who share a common interest and love of our home community. Please sign our GUESTBOOK and leave us a line! as well as the Club Cutlass, which is a Private CFR Venue. The Website has been re-vamped and updated with many new pages and features, however for news and up to date information please vist and LIKE the CFR Facebook page. Not going into detail until all the facts are straight, before matters are made worse. However recently one of our Brothers was involved in a confrontation with a member of another local Club (Not saying which Club, and we ask if you know to keep the details to yourself while we try and straighten this out). This Confrontation is of personal nature, between two grown adults who just happen to be members of different Clubs. As long as the matter remains fair and between the two parties than it can be settled like men, and not involve members of the Clubs. This being said however, We stand behind our Brothers, and support them in times such as this. We do ask that for the time being, until a sit down can occur (already in the works) just be vigilant, especially if riding alone. Don't cause any trouble but be aware of those around you. We ask if you are gonna be in any bars, take a Brother or two with ya if your flying your Colors, as this seems to be the reasoning for the trouble. This weekend, The Club will be involved in the GeorgeFest activities, and we expect a good time for all involved and no problems. 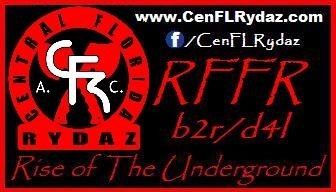 The CFR will be in attendance, possibly as well as AnarchyX and Sur13 supporting members. Details and extra security issues will be discussed at the Festival but I am expecting a awesome time with a lot of community interaction. Have Fun Rydaz!